The contents of this page for Small Animal Events will always be under construction, adding events and updating. If you have any Small Animal Events to list, shows, competitions, festivals, any type of events, please send us the details and we will list them here. Please check back often to see what is coming up! 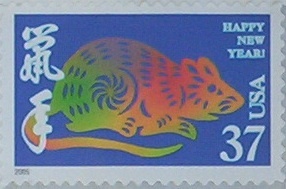 There are several events that Celebrate the Rat. Most of you have heard about the Chinese Year of the Rat. 2008 is Year of the Rat. Have you heard of World Rat Day? That's right. Pet Rat Owners got together and gave Rats a Day. It is April 4th. Many pet rat owners and lovers get together for events. Some people use the day to raise the awareness (the whole idea) of rats as pets. You might even find a Pet Store near you with an event set up for the day. Then there are Ratfests. Ratfest are events, usually once a year, that are again set up by rat lovers. Many have a lunch or dinner and some have an entire week end. Those that have week ends have events and games and prizes and raffles and vendors....it is a big deal. If you have a Rat Event near you, or if you hear of a Rat Event we would sure like to help you get the work out by hosting the date and details here. It can be an event anywhere in the world. Just send us an email with the event description, mark the subject line with Rat Event... or Rat Celebration... or Ratfest Event... you get the idea. By all means, get to know other rat loving people by attending any events in your area. Yes, you read it right....Year Of The Rat....well? At least in China. The Chinese have a 12 year calendar with animals as each years hosts. Each has attributes. This year is Year Of The Rat. It won't be again for 12 years. So our little pets will surely have much notarity this year and hopefully with the movie Ratatouille coming out last fall, more people will learn what great pets a rat can be. We do have some really cute Year of the Rat type earrings for sale in our "store". We also have some cute little Year of the Rat Outfits for pet ratties to wear. On our www.smallanimalfun.com site we also have mouse clothes called "Dream Big" Year of the Rat clothing. nature, funny demeanor make it an appealing friend for others. but may not reach perfect happiness. identify potential and put their creative and clever ideas into work. become more tolerant and wise as they are getting older. are very intelligent, thus usually very successful. problem if the Rats are not careful to keep their priorities straight. kind-hearted but may appear impolite sometimes. World Rat Day? Yes, that is right, World Rat Day. It is on April 4th of each year and celebrated around the world by rat lovers and owners everywhere. This year, The Year Of The Rat year, should turn out to be a big World Rat Day for the Pet Fancy Rat, sometimes known as rattie(s). Many rat lovers meet up for events, some send gifts and cards, other's send a greeting on Rat elists on line on this celebrated day. It is a fun day for all, mostly the pet ratties that get special gifts and treats on World Rat Day. There have not only been lunches, dinners and parties, but also events...rat shows, and a rat beauty contest. It is all about the fun of owning a rat, and spreading the news to others. Rats make great pets. They are smart, can be taught to do tricks and tasks and to come when called. They are clean and inexpensive. (see our Ratties as Pets page at this website for more information) Rat owners are a friendly bunch that would like for folks to learn that the pet they are so proud of is as far removed from wild rats as a dog is from a wolf. So remember, World Rat Day is on April 4 so if you know someone with a Pet Fancy Rat send them an email, card, gift or T-Shirt. If you are able, organize a World Rat Day Lunch or Dinner or Event. Contact your local Pet Store they may just want you to come and talk to the folks about pet rats...or shall we say Rats as Pets. They may have you bring your rattie to show off to the people to show them what great pets rats can be. I am betting that if you asked your local schools (especially Elementary) they would be thrilled for you to bring in your pets and talk about them to the kids. Whatever you do on that day, enjoy the day, enjoy your rats!! Make it a special day. Please let us know if you have shows or events that you would like to have listed here. Also, send us photos after and we will be happy to show them off for you here. The contents of this page for Year Of The Rat and World Rat Day is still under construction. Please check back later! Photos coming soon!! What is a RatFest? Ratfest are events, usually once a year, that are again set up by rat lovers. Many have a lunch or dinner and some have an entire week end. Those that have week ends have events and games and prizes and raffles and vendors....it is a big deal. The Agile Rat would love to tell the world about your Ratfest event. Email us the details and we will post them here. SD There are a couple of people working to get a RatFest set up in Rapid City, late Spring.